Conservative commentator Ben Shapiro's appearance at the University of California, Berkeley on Thursday night sparked protests that led to the arrests of nine people. Security costs for the event are estimated at $600,000, according to UC Berkeley spokesman Dan Moguofl. 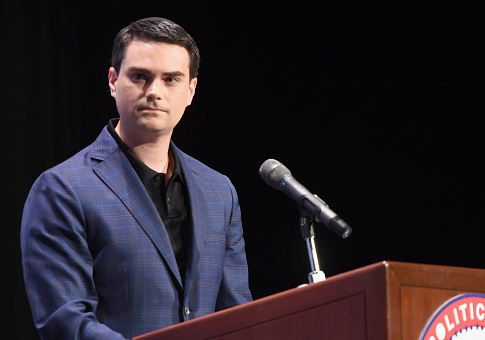 He further called Shapiro's speech a "successful event" and said that the university will be committed to bringing in speakers like Shapiro in the future, Fox News reported. The City of Berkeley Police Department tweeted during the event that they had made three arrests "for people carrying weapons banned" within a designated zone. Hannah Benjamin, 20, was arrested for battery on a police officer and carrying a banned weapon and Sarah Roark, 44, was taken into custody for carrying a banned weapon. Shapiro, Daily Wire editor-in-chief and former editor at Breitbart, thanked both the City of Berkeley Police Department and the university's police department for "restoring order and ensuring the exercise of free speech." Well done, @UCPD_Cal and @berkeleypolice! Thank you for restoring order and ensuring the exercise of free speech! The university had anticipated possible violence as tension over free speech has recently grown at Berkeley, and on campuses across the country. Protesters outside the event Thursday were mostly peaceful, as they chanted against white supremacists, fascism, and President Donald Trump. There were also demonstrators inside a student building waving signs and chanting against the school's decision to allow Shapiro on campus to speak, according to Fox. Inside the hall, Shapiro addressed a friendly crowd. He encouraged people to hold civil discussions with people who have different opinions, saying that's what America is all about. He condemned white supremacists as "a very small select group of absolutely terrible people who believe absolutely terrible things." The campus and surrounding Berkeley streets were under tight security after a series of previous events turned violent. City and campus officials anticipated protests against Shapiro, and prepared for possible violence with a variety of new strategies and tightened security. It was not immediately clear whether the people arrested Thursday were protesters. Conservative personality Ann Coulter was scheduled to speak at the university back in April, but she cancelled her speech after a conflict between her and school officials, who feared violence could break out. Prior to that, Berkeley College Republicans had invited right-wing provocateur Milo Yiannopoulos to speak last February. The event was "abruptly canceled when masked left-wing anarchists rioted outside the event to shut it down," Fox reported. Leading up to Thursday's event, a report from the Los Angeles Times said Berkeley was "bracing" for Shapiro's event, and Berkeley announced it was offering "counseling services" for students and faculty due to concern about "the impact some speakers may have on individuals' sense of safety and belonging." With tensions anticipated to increase throughout the week, the Berkeley city council also modified a 1997 ban with a 6-3 vote, so that police officers were able to carry pepper spray. "We have seen extremists on the left and right in our city," said Berkeley Mayor Jesse Arreguin, a Democrat who backed the police request to use pepper spray. "We need to make sure violence is not allowed." This entry was posted in Politics and tagged Ben Shapiro, College Campuses, First Amendment. Bookmark the permalink.